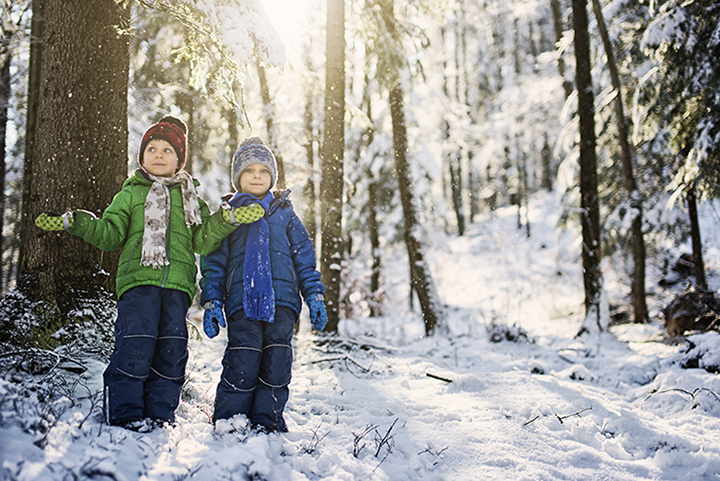 Discover how to take wonderful wintertime photos by using correct camera settings and these tips and tricks for snowy fun. 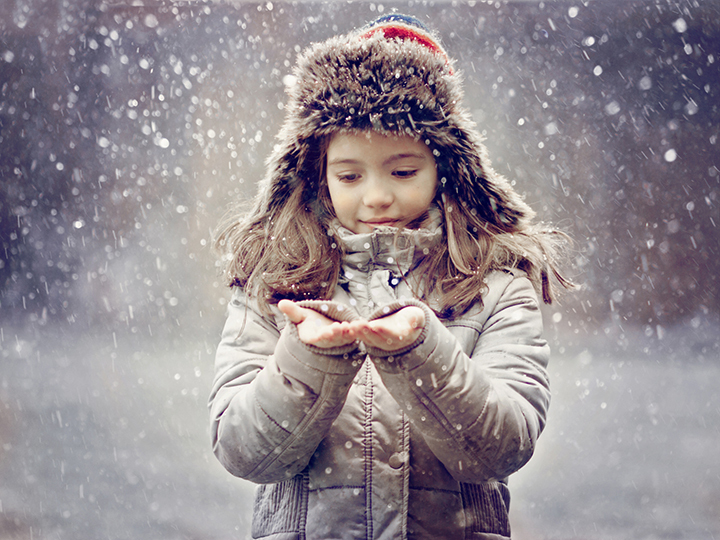 When your camera “sees” snow, its bright white colour can throw off the white balance. The results will be a photo that looks too dark or bluish in tone. Some cameras have a snow shooting mode, to compensate for snow and lighting conditions. For those without, use your camera’s manual controls to adjust white balance until the snow’s colour is accurate. Watch your camera’s screen adjust until the snow looks white. winter offers some fabulous light, especially in the morning and late afternoon. But it’s tricky, too. The bright white of snow and ice reflects sunlight, and you end up with too much light in your pictures. This means less detail, less contrast, and washed-out colours. Turn on your flash: More light may seem like the last thing you need, but the flash actually balances out the light off the snow, filling in darker areas, so you get the picture you want. Winter’s sparse landscapes make great subjects, especially when punctuated with contrasting shapes and colours, such as trees, buildings, animals, or loved ones in bright clothing. Shooting bright colours against a snowy backdrop makes a vivid winter photo. Action mode: Lets you freeze the action. The camera sets a fast shutter speed to stop action. This mode needs ample light and is best used outdoors in daylight settings. Video still: Use your camera’s video feature. Then sort through the video frames to find the exact moment for a great shot. 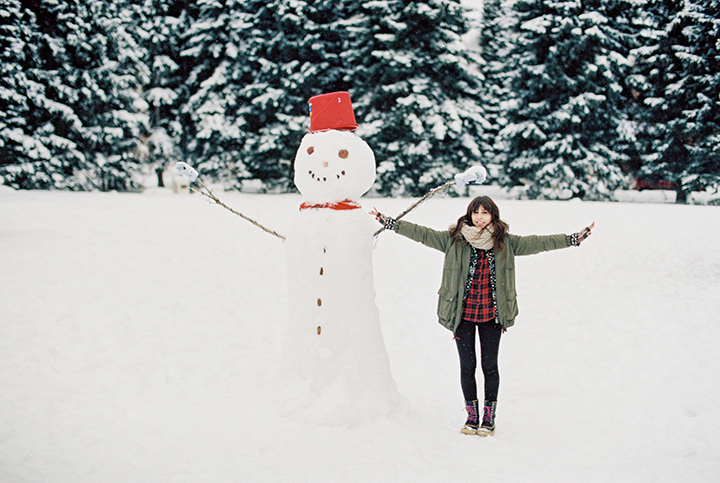 Make snow sculptures, like snowmen, animals or letters and decorate them. Set up still life photos against the snowy backdrop. Create close-ups of snow-covered pinecones or a red-breasted robin perched in a tree. Winter weather can be hard on your camera, so follow these pointers to take care of your gear. Cold batteries lose power more quickly, so bring spares and keep them warm in a coat/trouser pocket, or have someone hold them. Wear thin gloves so that you can still make adjustments on your camera. Keep your camera protected from wetness in a waterproof cover or a plastic freezer bag. When you come inside from a winter shoot, let your camera warm up slowly (by putting it near a window, for example) to prevent condensation. 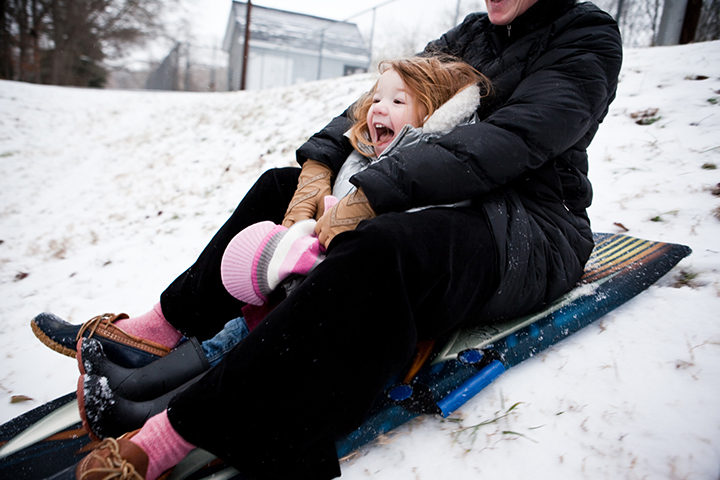 Tagged as photography tips, snapfish blog, snapfish uk, snow, winter photos, wintertime.